Did you know that more than 80% of women worldwide will face gender-based street harassment at some point in their lives? 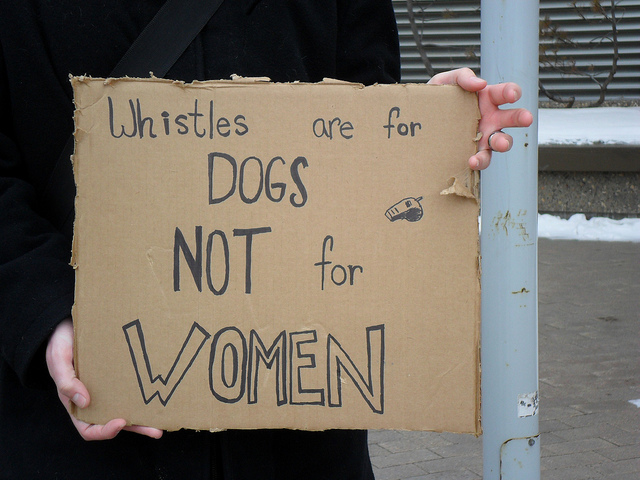 They—or rather we—will be approached (or accosted) on the street, subjected to unwanted whistles, cat calls, sexual comments and lewd gestures in which men “assert the right to intrude on women’s attention, defining her as a sexual object and forcing her to interact with them." Charming. The good news? This week (March 30-April 5, 2014) is actuallyInternational Anti-Street Harassment Week, and activists all over the world will be participating in tweet chats, rallies and protests to raise awareness about the damage done by leering, stalking and sexually explicit comments. Which makes it a particularly odd time for Snickers to have debuted a new ad that features construction workers heckling unsuspecting female passersby (who are apparently real women with authentic reactions, not actresses) with positive comments. But then (SPOILER ALERT) the end of the ad happens. And right after all the guys whom I’d just fallen for start publicly calling for an end to misogyny, the words “You’re not you when you’re hungry” flash on to the screen. But wait, here’s an idea: Hey Snickers, since you totally squandered an opportunity to alter the portrayals of masculinity in mass media, why not treat everyone working hard this week to change the gender stereotypes you reinforce to a candy bar? Because that would be sweet—and really satisfying. Older PostCan Vogue Really Stop What it Started?